Distinguishing between friendly and enemy forces can be difficult in war, and World War II posed its own basic battlefield challenges. 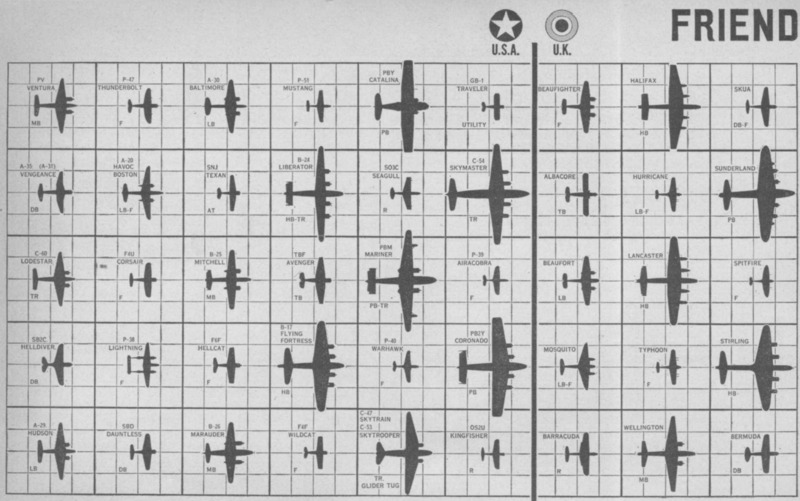 US soldiers — most of whom were conscripted men who might not have had extensive military experience — needed to be able to quickly recognise their forces’ aircraft. This could be a matter of life and death for both soldiers and pilots, as noted by a joint manual from the US War and US Navy Departments issued during the war. 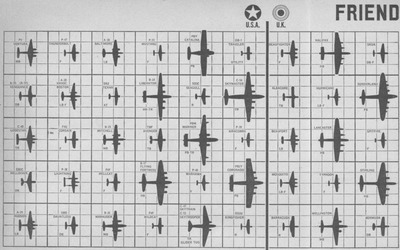 To help rectify the problem of friendly fire, US soldiers were given the Recognition Pictorial Manuel to help build their knowledge of enemy and friendly aircraft. Each section was then further subdivided to account for the aircraft’s countries of origin. Axis aircraft were categorized by aircraft belonging to the Reich, Japan, and Italy while Allied aircraft were divided between the USA and the UK. 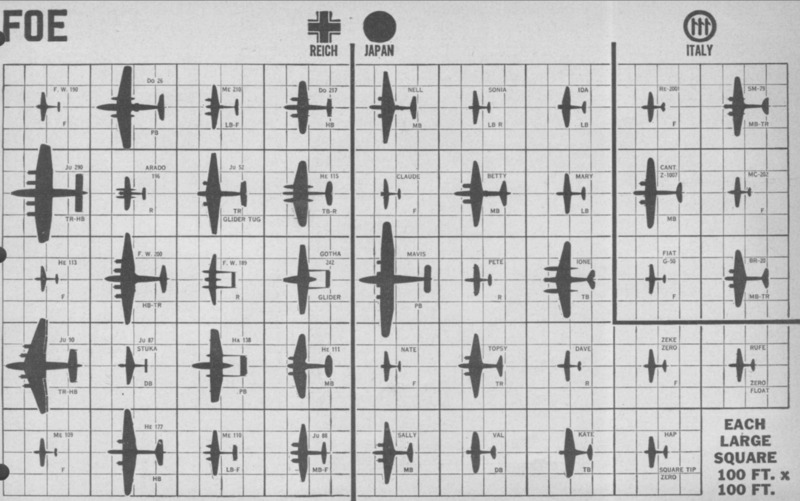 Aside from the pictorial representation of the aircraft and their countries of origin, the manual also gives an approximation of the size of each plane. Each box within the charts designates a 100-foot-by-100-foot area. 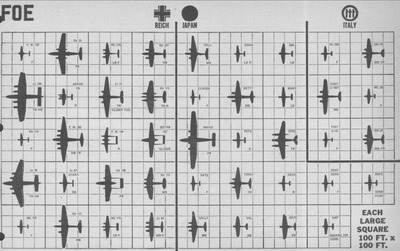 This information allowed US military personnel to be able to better spot and recognise both friendly and enemy aircraft at a time when radar technology was still new and not fully deployed.